My friend Joe and I drinking goblets of wine. Photo by Heather Lighton for The Thousands. Brodie, Ella and I. The dream team. 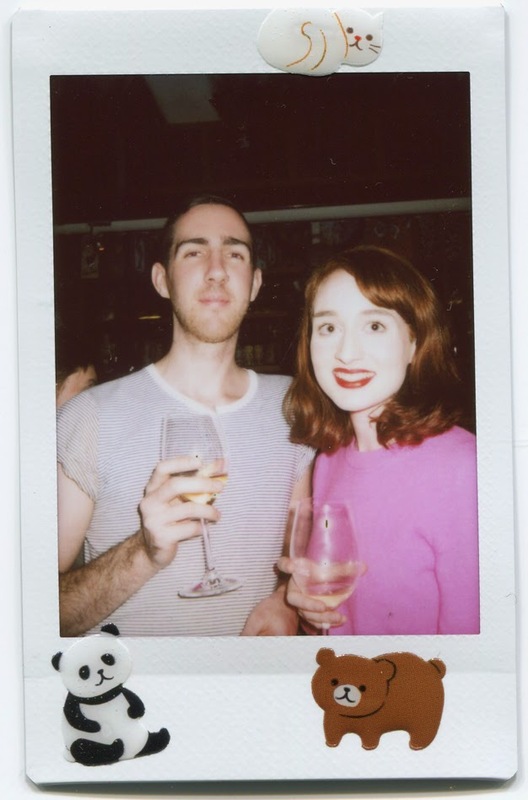 Polaroid of Joe and I by Aevoe. They even provided the stickers! I'm back in the swing of things - as of... yesterday, pretty much. 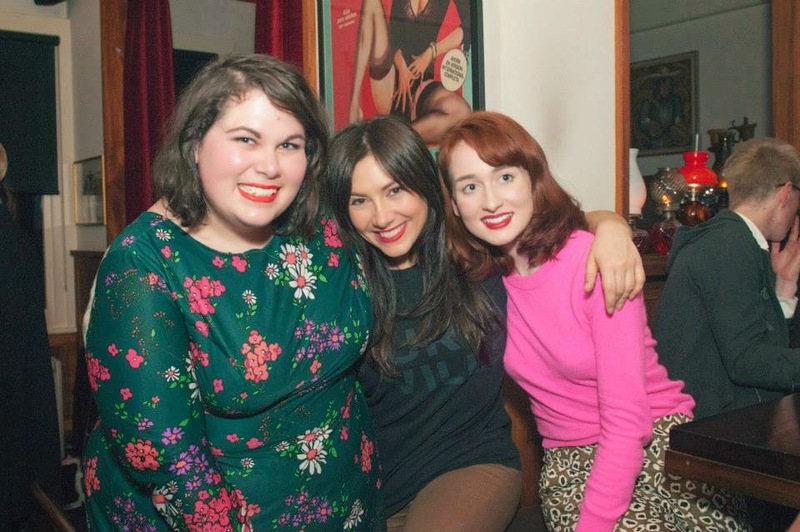 Last night was the launch of my friend Brodie Lancaster's zine Filmme Fatales (Issue #4!) which I had been looking forward to. 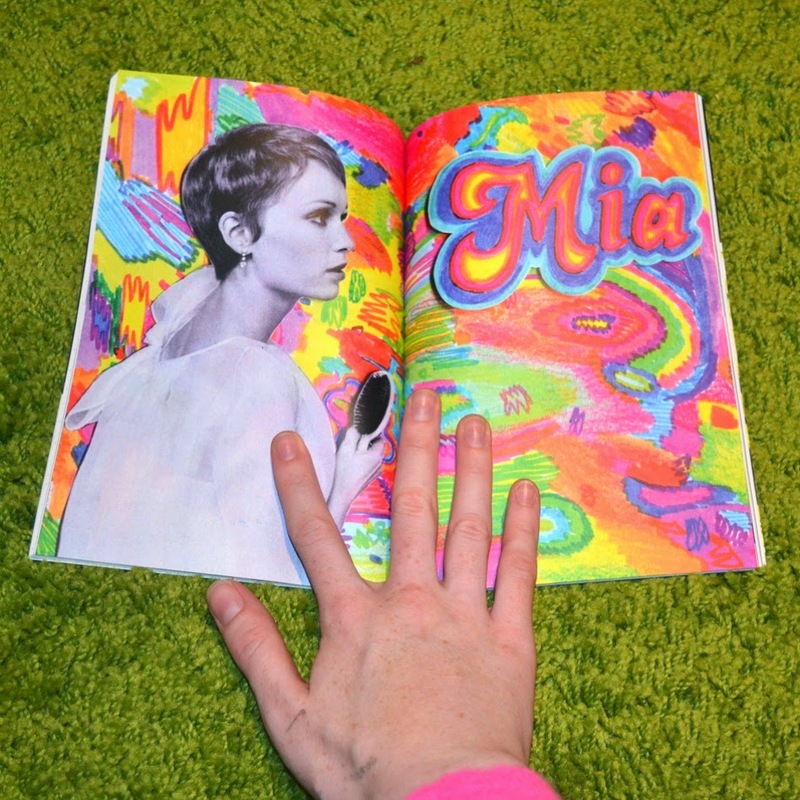 I had the pleasure of illustrating the centerfold to accompany Sinead Stubbins' article on Mia Farrow. 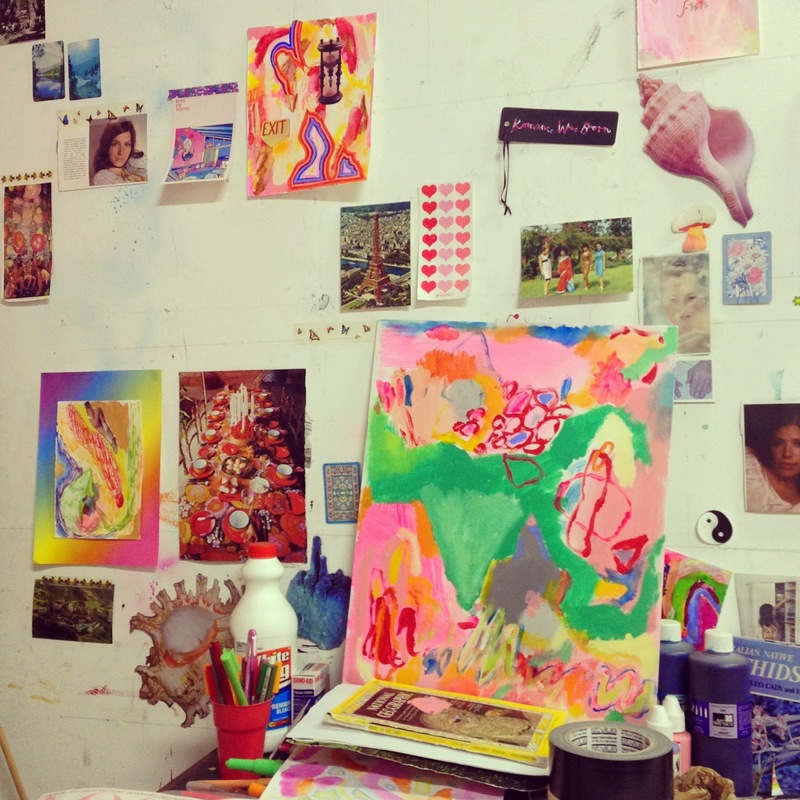 It was such a fun piece to work on. You can see a picture of it above! So yesterday I had work and then I went straight from there via my studio to Rooftop bar in the city, where I was meeting Brodie early to help set up and decorate the venue. Rooftop, as its name would suggest, is on a rooftop, which means it's not undercover and is exposed to the elements. As soon as I got on the tram it started raining, and didn't look like stopping! While looking out over the wet, shining streets of Melbourne through the wire fences was rather reminiscent of rainy nights in New York, it wasn't super practical for everyone to be standing in the rain. Eventually the party was moved one level down, to a nice bar who's name has escaped me... but it was the perfect last minute undercover venue. And there I was! At my second party in two weeks. If I was even slightly more daggy than I already am I'd say something like "Has the world gone topsy turvy...?!" Slightly. Lots of my friends were at the launch which made me happy, and then the ultimate friend appeared, Ella Hooper - the shiniest, most brilliant human being ever to grace me with their presence. 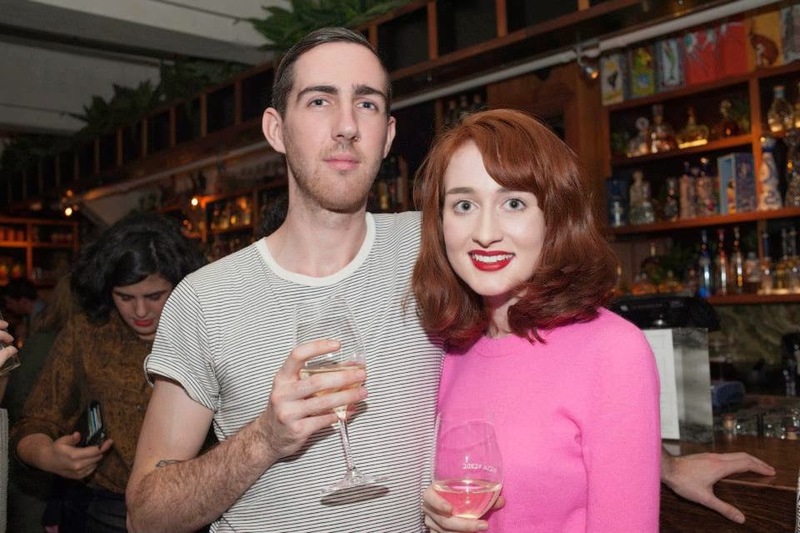 I had my new fluffy pink jumper on and was feeling light, not just because of the goblet of wine I appear to be drinking in the above photographs. Another night out of my little box, not working, not worrying about working, not feeling particularly unwell... is another victory in my mind. Last, but not least, Brodie gave me a very exciting and generous gift. 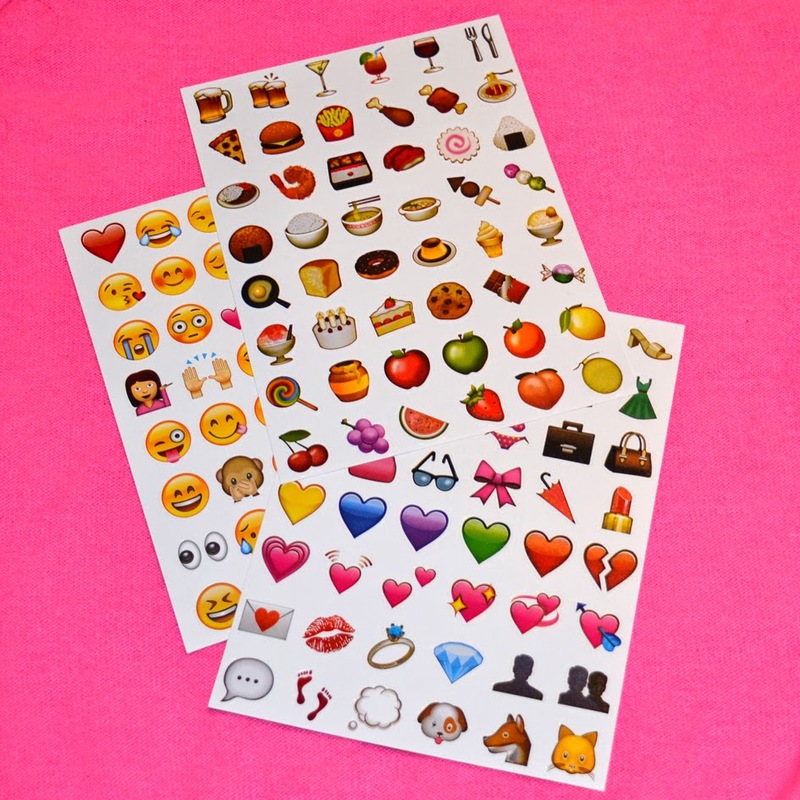 Emoji stickers. That is, stickers of every single Emoji there is to exist ever. zomg those stickers rule. wutwut.